This sweet home is situated on a street with no thru-traffic just four blocks from the ocean. 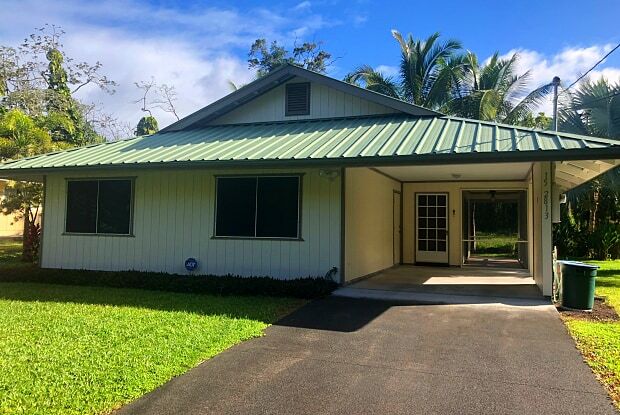 A large two bedroom at 1,020 square feet, it features ceramic tile floors and a screened-in lanai. Its lawn has mature tropical landscaping and Areca palms to block the house from the road. There is a carport and a bonus lanai off the bathroom. Mail is delivered to the home and Spectrum is available. Hawaiian Shores community association runs the private water company and enforces CC&Rs for minimum neighborhood standards. 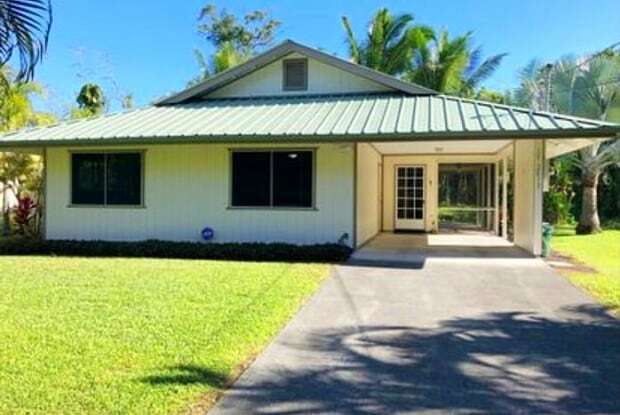 Just a few minutes drive to Pahoa for shopping, groceries and services; it's eighteen miles from Hilo. Please complete an application at hilobayrealtyllc.com in order to schedule a showing. Have a question for 15-2813 Puhi Street?